Wireless and mobile credit card processing are both payment processing solutions that continue to improve with rapidly evolving technology and business strategies. Though both services allow merchants to take their business out of the traditional brick-and-mortar facility and process credit card transactions at nearly any location, there are differences between them. Wireless credit card processing involves a wireless credit card terminal, which works much like a traditional credit card terminal with a magnetic stripe reader, keypad and display screen. 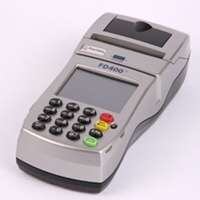 However, wireless terminals do not require a direct hookup to a phone line or Internet connection, but instead, work wirelessly to accept credit cards at various locations. Wireless credit card processing is often used for delivery and repair services, so that employees can process credit cards from customers’ homes. Taxi drivers also use wireless credit card terminals to process multiple transactions from their cars. Mobile credit card processing allows merchants to accept credit and debit card payments through their cell phone. Dependable Solutions offers EPN mobile processing services, so their merchants can download the mobile application directly their existing phone, and eliminate the need to buy any new equipment. Reports, technical support and marketing materials are accessible through the phone’s application. To complete a transaction, merchants simply enter the credit card information into their phone, through which it is encrypted and sent out for secure authorization. While wireless and mobile credit card processing involve very different equipment and processes, the need for PCI compliance is crucial whenever merchants accept credit card payments. Keeping credit card information and sensitive data protected helps save a great deal of time, loss and money in the long run. Contact Dependable Solutions today to learn more about wireless and mobile credit card processing, and find a payment processing solution that is right for your business.